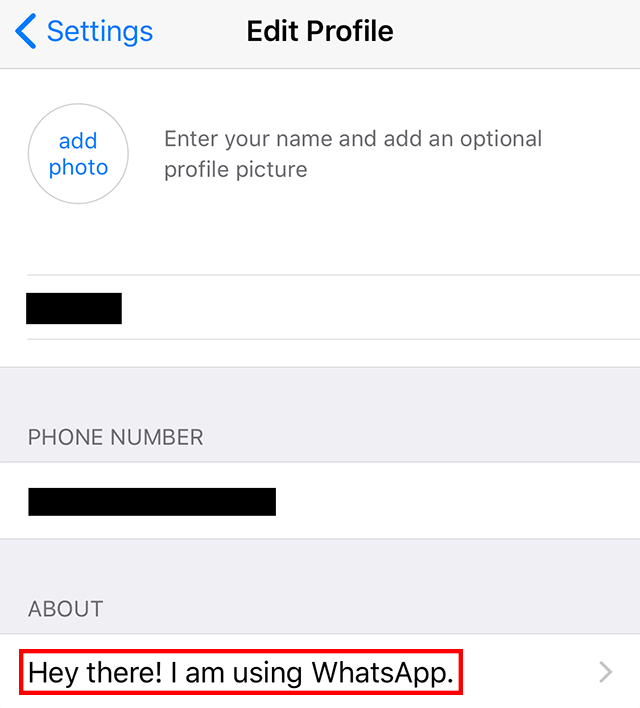 Did you know that WhatsApp allows you to change your “About” message so that you can share more about yourself (or what you’re currently up to) with your contacts? Our guide will show you how this is done. Step 2: Tap your username/current About message. Step 3: Tap your current “About” message. 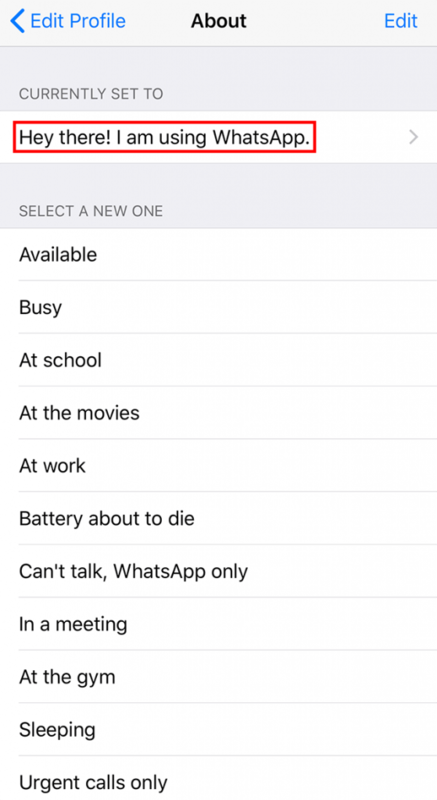 Step 4: Either tap one of the template messages to change your About message to that text, or tap your current About message to type a new message yourself. Step 5: If you tapped your current About message in Step 4, type the new message you’d like your contacts to see. Note: The number in parentheses next to the word “About” at the top of the screen shows how many characters you have left to compose your message. Step 6: Tap “Save” in the top-right corner of the screen to save your new About message.